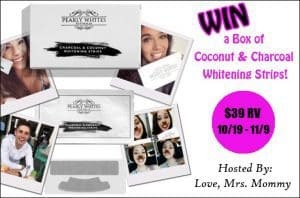 Welcome to the Pearly Whites Coconut & Charcoal Whitening Strips Giveaway! 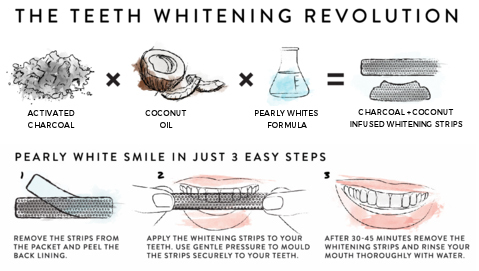 We’ve combined the natural whitening power of coconut oil and activated charcoal and infused it with our unique whitening formula for fast, no mess, pain-free results. If you’re looking for a more natural way to get a Hollywood celebrity smile, our new On The Go Whitening Strips are the best choice. 10 x Coconut Oil and Activated Charcoal Infused Teeth Whitening Strips.